Many parents don't know that there are mattresses specially designed for children. Surely a mattress is a mattress, right? Well, in part, you’d be right. But there are some keys points that you should be considering. As your child grows, their body is constantly developing throughout the day and the night. Sleeping in their bed for 8-12 hours a day is a lot of growing time, and if the mattress doesn’t give an ample level of support, it can be problematic, especially as your child becomes an adult. We’re all aware of how difficult mornings can be when we feel all stiff. With the wrong mattress, your child may not get the sleep they need in order to grow healthily. I’ve compiled a list of my favorite mattresses specially designed for kids, which are comfortable and supportive, helping your child have a peaceful night’s sleep. If you're not sure what mattress is best for your child, my step-by-step buying guide details everything you need to know to make the best purchasing decision for your children. Ready to re-discover how amazing an uninterrupted night of sleep can be? Here are my eight favorite mattresses that will enable your children to achieve the sweetest dreams. To start my list, I’ve chosen one of my firm favorites. Available in six convenient sizes, this Gel Memory Foam Mattress prides itself on multiple layers of memory foam which provide the highest levels of comfort. The top layer is comprised of 3 inch thick, high-density gel memory foam. This specially developed gel is ideal for creating a soft and supportive cradle around your child’s body, giving them the support they need, no matter what position they sleep in. Underneath this initial layer, you’ll find 7 inches of 1.8lb high-density foam that works effortlessly with the top layer, providing your child with the highest levels of comfort possible, while the aerated design helps to keep the bed cool and refreshing. This is a mid-range, middleweight mattress that’s ideal for children of all ages, giving them everything they need for healthy physical development. What's Great About It: All the foam used in this mattress is CertiPUR-Us certified. This means that the mattress has been rigorously tested and has been proven to contain no harmful chemicals or gasses that can be found in traditional mattresses, some of which have been known to cause harm to children’s health. Looking for a completely comfortable mattress that your child will fall in love with? The Zinus Memory Foam Mattress, available in four bed frame sizes, prides itself on being one of the most comfortable mattresses on the market, infused with rich herbal green tea fragrances to protect your child from otherwise harmful odors and gasses. 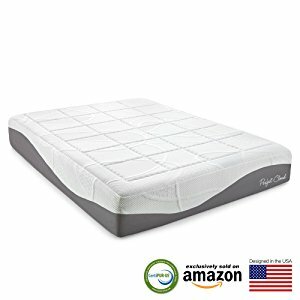 At the top of the mattress, you’ll discover 2-inches of high-quality, gel-infused memory foam, followed by a series of various memory foam layers, including a patented 3.5-inch airflow support foam, helping the bed to stay cool and refreshing, even on hot summer nights, resulting in a peaceful and undisturbed sleep. All the foam materials used to create with beautiful mattress are CertiPUR-US Certified, keeping you safe in the knowledge that this mattress has your child’s best interests at heart. What's Great About It: In addition to being infused with green tea extracts, this highly durable mattress comes ready compressed using advanced patented technology. This means you can simply open the package, let the mattress re-compress and you’re ready to go. 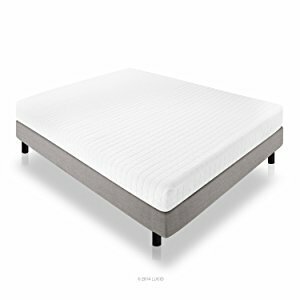 Priding itself on a whopping 1.6 inches of high-density, super-comfortable memory foam on the top, the Signature Coil Mattress is ideal for nurturing your child’s body, giving them the best angles and support every single night. 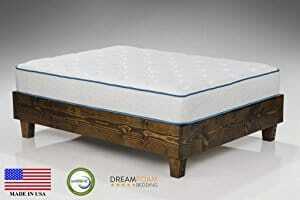 This comfortable foam layer sits perfectly on a 7 inch, fully encased mattress that sports an advanced coil system. This coil system is responsible for evenly distributing your child’s weight, giving them the optimal amount of support, no matter what position they sleep in during the night. The entire mattress has been meticulously tested and has passed the CertiPUR-US regulations when it comes to having no harmful odors or gasses. Each layer of the mattress has been constructed using soft, breathable knitted material, creating a highly breathable environment for your child to sleep on, so they can sleep comfortably. What's Great About It: This firm, lightweight mattress is ideal for children of all ages thanks to the fantastic amount of support that it provides. Furthermore, this mattress is available in a variety of sizes, enabling you to choose the one that fits your child’s bed frame, giving them the most comfortable sleep they’ve ever had. Available in eight convenient sizes, the Dreamfoam Cooling Mattress is packed full of features that will give your child a dreamy night’s sleep. Priding itself on its ten inches of patented Arctic Dreams Cooling Gel, the top feature of this mattress is its ability to breath throughout the night, pumping out unnecessary heat that helps your child to stay cool and refreshed. Your child can enjoy hour after hour of luxurious comfort thanks to the 0.75 inch optimal softness quilting fabric that layers the top of the mattress. This top layer then sits perfectly on several highly-advanced comfort layers including high-density comfort foam and a fast response Energex gel foam layer, which create all the support your child needs. What's Great About It: In addition to all these high-quality comfort layers, the Dreamfoam Cooling Mattress comes with a full CertiPUR-US certification. This takes away the risk of your child inhaling potentially harmful chemicals that can impair growth or harm them. If you’re looking for an affordable mattress that still provides the same benefits as a high-end premium mattress, Classic Brands could be the perfect mattress for you. Available in six various sizes, this mattress is one of the most advanced mattresses to come onto the market. Utilizing market-leading memory foam technologies, this mattress prides itself on 2 inches of gel-infused memory foam, providing your child with optimal amounts of support while evenly distributing your child’s weight throughout the night, alleviating the risk of stiffness. In addition to the support that will nurture your child’s spine, this mattress is covered with a securely attached soft cover, maximizing the breathe-ability of the mattress, allowing your child to stay cool throughout the night, minimizing the risk of disturbances. The gel layer found on the top helps to absorb and repel heat throughout the night while the adjustable base and medium firmness help to make this feature packed mattress ideal for kids of all ages, in any bed. What's Great About It: One of the leading features of this comfortable CertiPUR-US certified mattress is its antimicrobial and hypoallergenic properties. This helps to repel mold, bacteria, dust mites and other harmful allergens, making this mattress ideal for children who suffer allergies or respiratory conditions such as asthma. 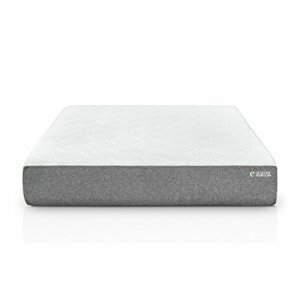 As an affordable yet high-range memory foam mattress, the Lucid 8-inch mattress is everything your child needs for a refreshing and re-energizing night's sleep. The medium feel mattress is ideal for providing optimal amounts of support, relieving problematic pressure points that are common with traditional spring mattresses. This helps to promote the healthy development of your child’s body, especially their back and spine. This 8 inch mattress boasts a comfortable 2 inch gel layer on top of 6 inches of high-density memory foam, creating a cocoon around your child that nurtures them as they sleep. Thanks to the advanced gel layer, this mattress prides itself on high levels of breathe-ability, ventilating the bed to create a cool environment for your child to sleep in, even on the hottest of summer nights. 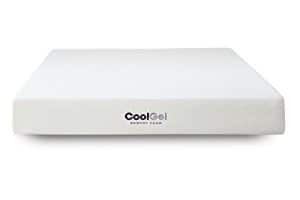 This cool temperature mattress is also CertiPUR-US certified and boasts a range of hypoallergenic and antimicrobial properties, ideal for allergy sufferers. What's Great About It: One of the leading features of this high-quality mattress is the convenience that it gives you. The mattress will arrive at your house fully compressed and expertly rolled up to save space. Simply open the package, let the mattress roll out and leave for a few hours to return to its original size, and you will be sorted. The most important feature when it comes to buying a new mattress is the level of comfort it provides. This is a feature that the Perfect Cloud Gel Mattress excels in. Boasting a 1-inch thick, high-density layer of air-infused memory foam, the comfort of this mattress is unparalleled. Moving through the mattress, you’ll find layer upon layer of air-infused memory foam that nurtures and cups your child’s body as they sleep, giving them the ideal place to have a perfect night’s sleep. 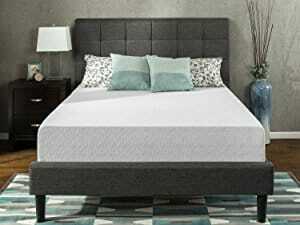 Additionally, the third layer of this high-quality mattress is produced using an advanced gel formula, which is 2 inches thick, and provides this mattress with all the temperature control properties it needs to remain cool, no matter the temperature of the room. The surface of this mattress is covered with a soft-knit cover that’s easily removable, so you can machine wash it to maintain the highest level of cleanliness and hygiene. What's Great About It: The main bulk of the mattress is produced using 7.5 inches of high-density support foam. As the name suggests, this foam provides outstanding levels to support your child’s body throughout the night. This makes it ideal for children of all ages who sleep in any position. To conclude my list, I’ve chosen one of the top mattresses currently available on the market. This award-winning mattress is crafted using the highest quality advanced adaptive foam. This is the next step in mattress technology, providing more comfort and support than traditional memory foam mattresses. This means that your child will gently sleep on top of the mattress rather than sinking in uncomfortably. Produced by one of the leading mattress companies in the US, you can rely on the quality of this mattress for years to come. Available in a variety of sizes, you can choose the perfect fit for your child’s bed frame. This is a lightweight mattress that can easily be moved around your home as required, guaranteeing a perfect night’s sleep. What's Great About It: Thanks to its unique Adaptive Foam technology, the breathe-ability of this mattress is outstanding. Even on hot summer days, this mattress can expel or hold the required heat, enabling it to maintain a constant temperature, minimizing the risk of your child becoming disturbed during their vital night’s sleep. If you’re unsure on what features will best benefit your child when it comes to mattresses, don’t worry, you’re not alone. Follow my step-by-step buying guide for everything you need to know about the child-friendly mattresses, allowing you to pick the perfect one. Firstly, you’ll want to determine the size of the mattress you need. For this aspect, you have to consider the age of your child and whether you want to keep your current bed frame. For a younger child, you’ll want to invest in a small or twin-size mattress, but this is the biggest you’ll want to go. This is because twin-sized mattresses can be rather tall and may pose a safety risk to smaller children. However, if you’ve got a low bed frame, this shouldn’t be a problem. For older children, you’ll want to look into a twin-sized mattress or above. This will comfortably accommodate them as they grow and will give them more than enough room while they move around at night, minimizing the risk of them falling out during their sleep. By purchasing a twin-sized mattress, or larger, you’re also giving your child enough room to grow. This means, with a highly durable mattress, your child can enjoy the same mattress for many years, and you won’t have to keep buying a new one, saving you money in the long-term. There are three main types of material (design) that are used to create child-friendly mattresses. The most traditional design is a coil system, which are made using fabric materials around the outside and house a certain number of springs on the inside. This is the method used when mattress first started being developed, and although relatively affordable, can create discomfort while sleeping. 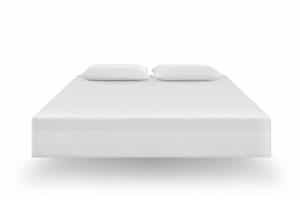 Alternatively, you can choose the increasingly popular memory foam mattress, which contain high-density memory foam that fits your child’s body perfectly by creating a slight indent where they sleep, returning to its original position throughout the day. This is a mid-range price mattress and boasts a vast range of benefits including optimal levels of support and comfort, as well as a host of temperature control properties. The last mattress design is the up-and-coming Adaptive Foam. This is only present in a few mattress brands, but the technology is quickly finding its place in the market. This is renowned for being the next step in mattress technology and provides the greatest, and most optimal, levels of support and comfort for your child during their sleep. The temperature control properties of these mattresses are also unparalleled. Children are renowned for their allergies, especially during their younger years. If your child suffers from allergies, or respiratory conditions such as asthma, you’ll want to consider how your mattress combats these issues. If your child is using the mattress for 8-12 hours a day, that’s a large time window for these allergies to develop. Be sure to wash your child’s sheets regularly and purchase anti-bacterial covers. Likewise, the mattress you buy should come with its own antimicrobial and hypoallergenic properties. This means the mattress is made using materials that repel allergen stimulants such as dust mites, mold and other potentially harmful bacteria that are commonly found in mattresses. As your child is growing up, their body will be developing in many different ways. Passed down mattresses or second-hand mattresses may have lost their support properties and can be harmful to your child’s growth development. By investing in a new memory foam mattress or better, you’re actively giving your child’s body the support it needs every time they go to bed. This allows them to rest peacefully while allowing their body to grow and still be supported in a natural and nurturing way. Unfortunately, it’s now becoming known that children who didn’t have supportive mattresses during their younger years are showing signs of damage, especially to their backs. When choosing the ideal mattress for your child, it’s important to consider the position they sleep at night, which can include on their front, backs, and sides. When choosing for a front or back sleeper, you want a supportive and relatively firm mattress. This kind of mattress will evenly distribute your child’s weight, giving support to every area of their body without the risk of obscure angles causing a lack of support. However, if your child is a side-sleeper, there is a risk of pressure points developing in the mattress in areas such as the shoulders or elbows. Softer mattresses are ideal here as your child’s body can sink further to support their pressure point areas without compromising on the evenly distributed support holding the rest of the body. When trying to choose between a soft or firm mattress, whether you’re shopping online or in a local store, the product description or label should tell you what kind of support the mattress provides. Finding the ideal mattress for your child may seem like an overwhelming and daunting task. With so many aspects to consider, every parent wants to may sure they are buying the right mattress for their child. While shopping, follow my step-by-step buying guide to ensure you know exactly what your child needs, allowing you to make the ideal purchasing decision that will result in happy children.